The Ravenstein Seminar is an annual two-day congress for PhD and Research Master Students working in Literary Studies and aligned disciplines. Young and promising scholars as well as renowned scholars will present their most recent research by taking up a current and central theme within Literary Studies. This year the theme of the Ravenstein Seminar is ‘Writing Novels, Writing Lives, Writing Continents’ focusing on the creative interaction between the literary work, real life and everyday society. The theme aims at exploring not only the idea that literature originates from the experiences of the writer, but also the possibility that the writer forms his life, his experiences and surroundings by shaping them in a narrative, by actually ‘rewriting’ them. See the program for full details on the lectures and speakers of Ravenstein 2013. Ravenstein Seminar 2013 will take place on 10th and 11th of January at Tilburg University. Prior to Ravenstein a special RMA Graduate Seminar takes place at the 9th of January. 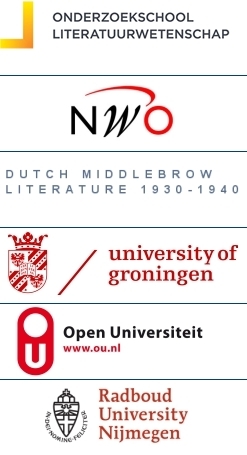 Ravenstein is organized by the Dutch Research School for Literary Studies (OSL) in collaboration with Tilburg University.